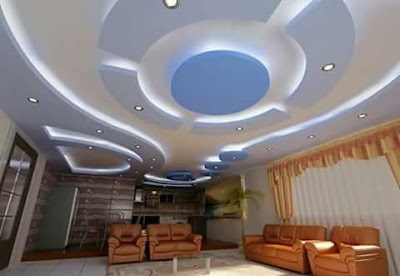 If you need more light in a room or simply an attractive accent in living room interior, then you can opt for a modern indirect ceiling lighting with LED fixtures for your home. The built-in LED light strips are an elegant and discreet variant for this purpose, without losing space because of a lot of lamps. Since LED lighting has become so popular, manufacturers have been developing new and varied formats, with greater efficiency and performance day after day, power, flow and color temperatures, the possibilities of integration of lighting into the architecture of a space given. The possibilities of creating new lighting effects or reinventing traditional systems and ways to illuminate any space have multiplied. LED Indirect lighting for the ceiling is becoming very popular both in residential and commercial projects or offices. In indirect lighting, the light source is hidden, and the room is being illuminated through the room through reflection on the ceiling, floor or wall, thus creating flicker and shadows. To obtain the necessary balance, it is very important that indirect false ceiling LED lighting is planned at the beginning of the project. 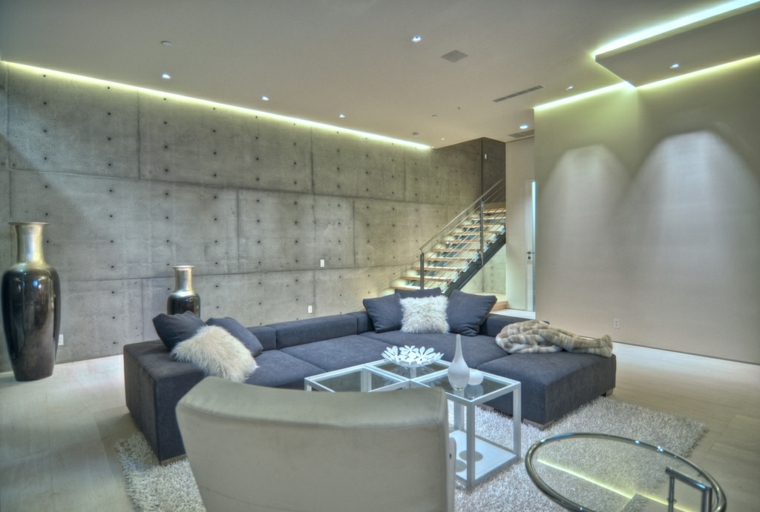 Why should I install Indirect lighting for the ceiling? 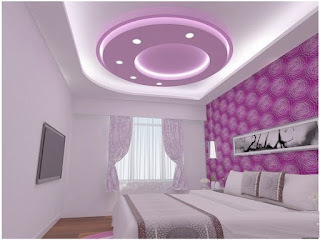 Indirect ceiling lighting fixtures provide a pleasant atmosphere and allow you to outline the room with light. Architectural forms can be reinforced, and heavy or bulky structures can be shaded due to the floating effect so all elements will look harmonious. With creating long and unshadowed rays of light, you can visually increase the space, and this will help you connect the limited functionality with conservation of energy. 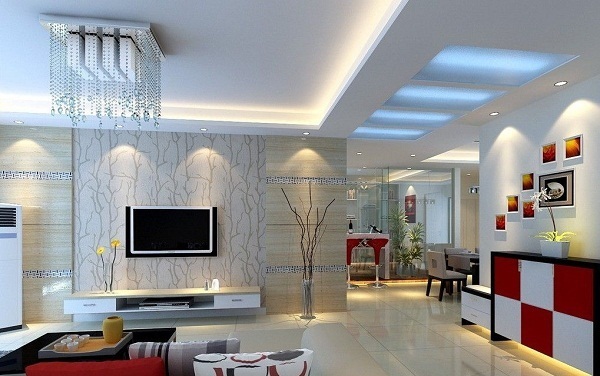 For indirect lighting for false ceilings, fluorescent lamps or LED strips are used. 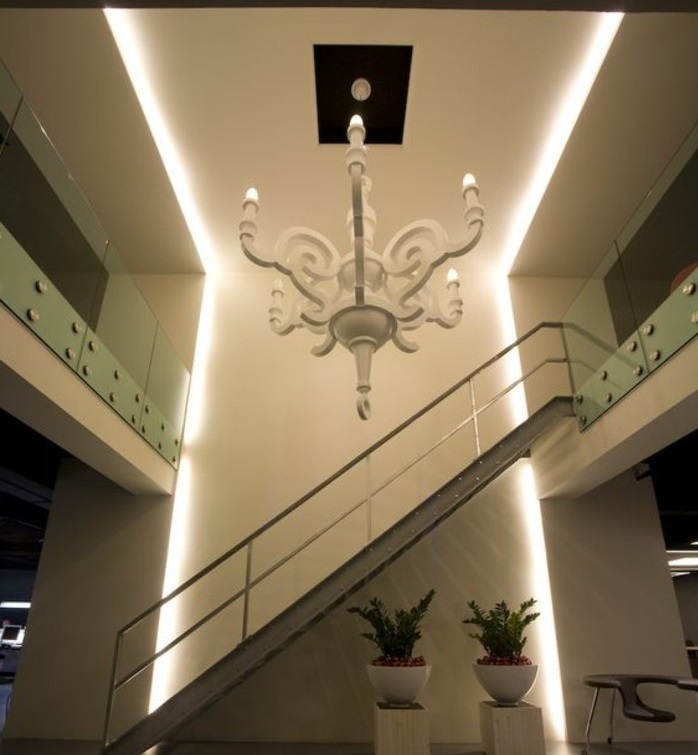 When selecting ceiling indirect lighting, you make a choice between the use of frameless sources and a special profile in which the light source will be placed. Frameless light sources are cheaper, but the profiles have several advantages. For example, the profile protects the lamp from moisture, dust, and dirt, the housing serves as a cooling element of the lamp, a special product and pre-assembly provide a quick and easier installation, it also guarantees an ideal beam of light without shadows. The last advantage is that it's absolutely necessary for obtaining the desired effect. How to choose the proper LED indirect lighting for a room? There are many different ideas for modern LED indirect lighting for the ceiling, but you must take into consideration the size and function of the room. 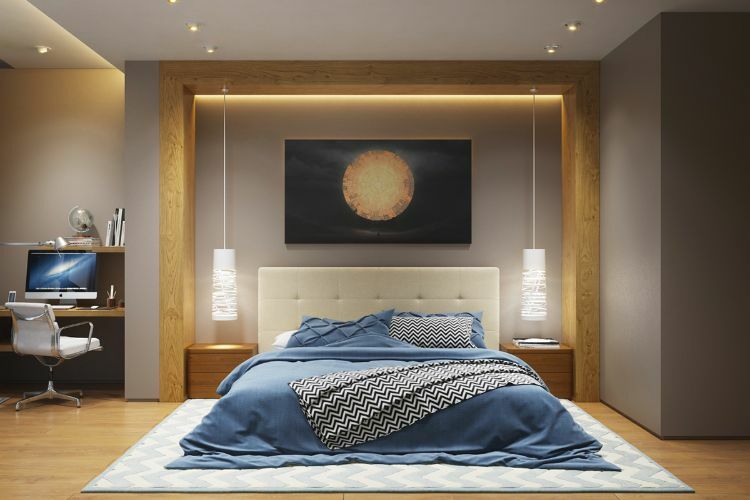 You can illuminate the dark corners of the kitchen, focus on a work of art on the wall in the living room, or simply create beautiful light effects over the bed in the bedroom. The indirect ceiling light works like a rail at the top of the wall or in the middle of a false ceiling design for living room. It is inconspicuous when it is not switched on. A modern LED indirect ceiling lighting can create magical effects with a touch of creativity and transform almost every part of your home into a pleasant elegant ambiance. 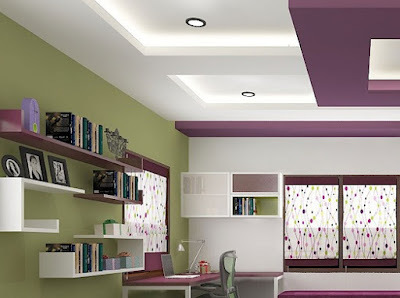 False Ceilings can be a trend and a unique decorative element for any home design. Your rooms will have a mysterious and magical effect on your guests through an almost invisible backlit, making the modern interior design look even better. 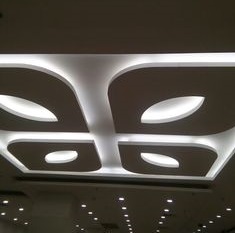 Indirect LED ceiling lighting fixtures can be used as the main source of light or for decorative purposes. It is suitable for walls with a recess or for suspended ceilings. 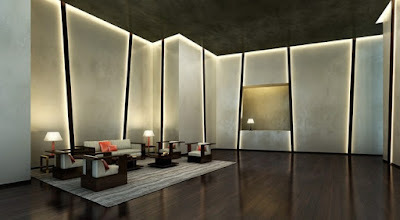 The glowing light in an upward direction gives the interior a magical touch. It has the power to transform a living room from a recreational space into an impressive and majestic place. A coffer cover can create a spacious feeling in your home by giving it an English charm, which so many designers and homeowners dream today. The look of an interior with a modern perspective can be supplemented with the lighting, and as it works best for rooms with higher ceilings, it can simultaneously combine a fresh and a classic look. 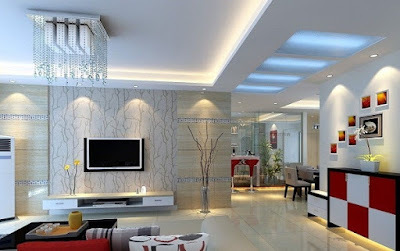 A modern false ceiling design in a living room can give each it a unique, inimitable and individual character in the living room, in the dining area, in the kitchen or in the bedroom, which also leaves an unforgettable impression with your guests. 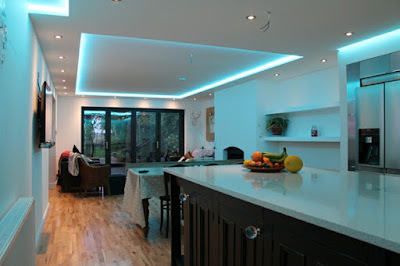 The LED indirect lighting for the ceiling is a good option to introduce discrete light in a room. Attention is rarely drawn from the upper part of an apartment. 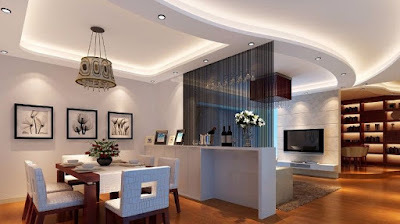 A ceiling is not always noticed by the visitors, but the lighting up will definitely lighten the room in an indirect way, without immediately being noticed. However, if you decide to combine such a lighting with a suspended ceiling, you take the risk of that it will be more striking than the room itself. 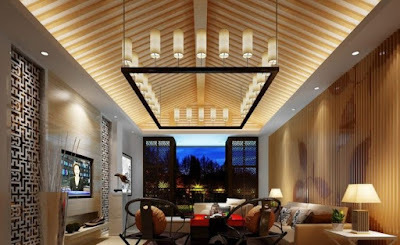 One of the reasons why the customer-specific false ceiling LED lighting can provide a unique and brilliant effect is the simple fact that it can magnify the visual impression of a particular room in a great way. While the use of ordinary lighting is used in specific areas of your home and gives a certain feeling, indirect ceiling lighting can add a compact and modern accent to your interior spaces, which matches the current design trends. Another advantage of this type of false ceiling led lighting is its fascinating 3D effect on smooth surfaces. The lights can also highlight the curves in different colors such as blue, red or yellow. The modern technology allows you to use flexible LED strips with high energy efficiency for indirect lighting for the ceiling. You can create beautiful designs and impress your guests with a tasteful light blanket. 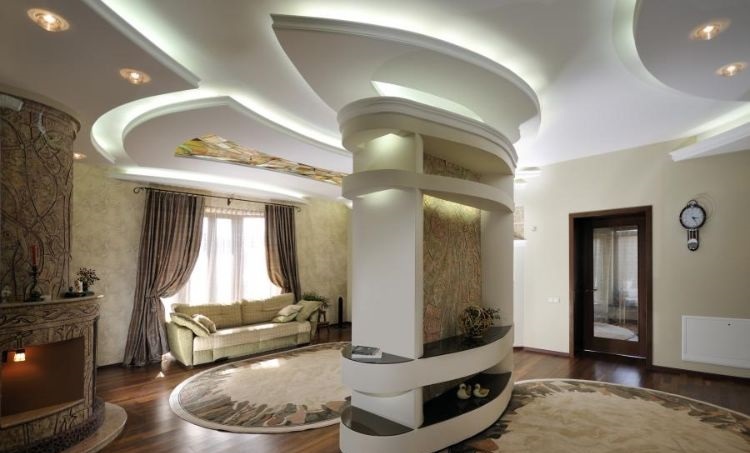 false ceiling designs are easily recognizable thanks to their architectural look. 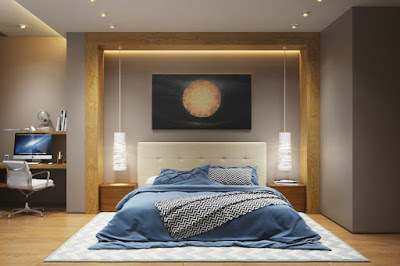 A design of this kind usually requires LED indirect lighting, which presents and emphasizes its unique design. You can also use wall lights or other types of ceiling lights in combination with LED indirect lighting fixtures. In this case, the light is reflected onto the wall to create interesting visual effects and make the room spacious and inviting. Large living rooms are mostly designed according to your own taste. There are several possibilities, but if you really want to illuminate the room, it is best to divide it into three sections. If you're into art, photography, or modern design, you've certainly heard of the third rule. Applied to a room, it can be divided into top, middle and bottom. The bottom can be designed with furniture or wall coverings. The indirect LED ceiling lighting fixtures are best to fit in the middle, and for the top, you can use modern indirect LED lighting for false ceilings with other types of fixtures, such as built-in or wall lights. 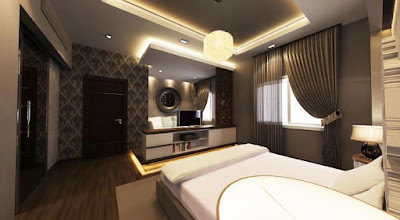 While you can add furniture and wall hangings to your liking, false ceiling with indirect LED lighting fixtures with an extraordinary design can make the room look completely and unique. As mentioned above, there are many possibilities for LED indirect lighting for the ceiling. Our last suggestion is a living room with an interesting deck-bar design. It gives the space a timeless and historical touch in combination with modern furnishings. Warm light that bounces from the ceiling and the walls gives you a wide view over the entire surface of the living room. The best thing about these amazing false ceiling designs for living rooms is that they blend seamlessly with the rest of the apartment.